Product code: P865 Categories: Sold Items, Sold Omega Watches. 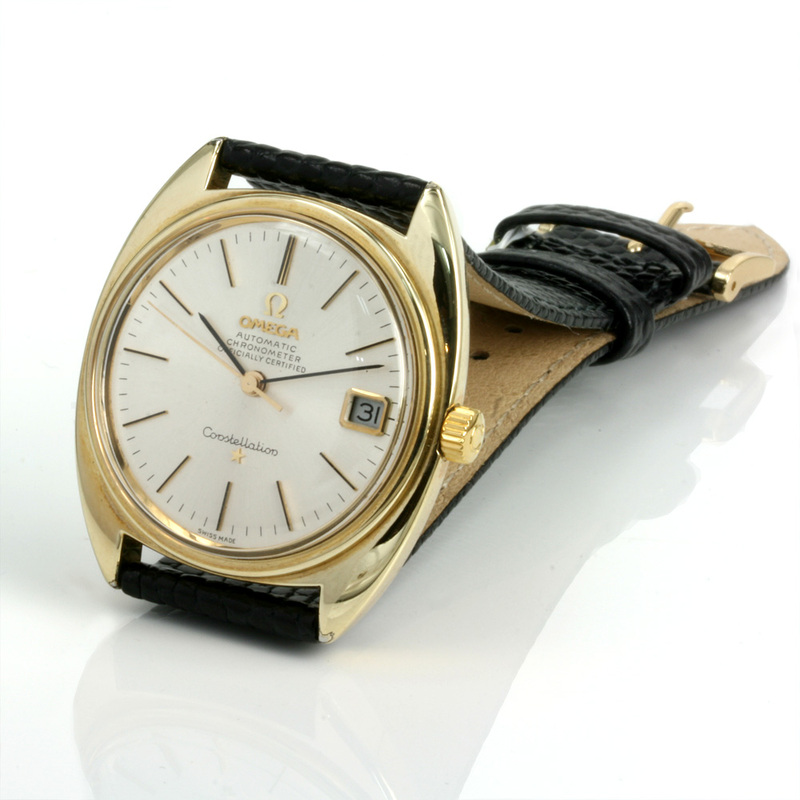 Omega introduced the Omega Constellation in 1952 and since that time it has led the way as their highest grade of watch and here is a fantastic vintage Omega Constellation dating from 1973. We are seeing so many “Frankenstein” Omega Constellations lately where people will get components from one Omega to use in another however more often than not, the wrong parts are put in, so it is worth paying that little bit more for one that has all original components such as the original hands, dial and case such as this one here. Sometimes referred to as the Omega Constellation III or “C” case, due to it being the third model of Constellation and the case somewhat resembling the letter C, this is a great size watch to wear all the time. The gold capped case which itself is in excellent condition, measures 40mm from end to end by 35mm across plus the Omega crown and sits perfectly on the wrist. Inside is the workhorse of this Omega Constellation – the wonderful 24 jewelled automatic Omega calibre 564. Chronometer rated, the movement has come back from a full service, runs perfectly and comes with our 12 month warranty. With a flawless dial and all original components, this vintage Omega Constellation is just terrific in all respects.